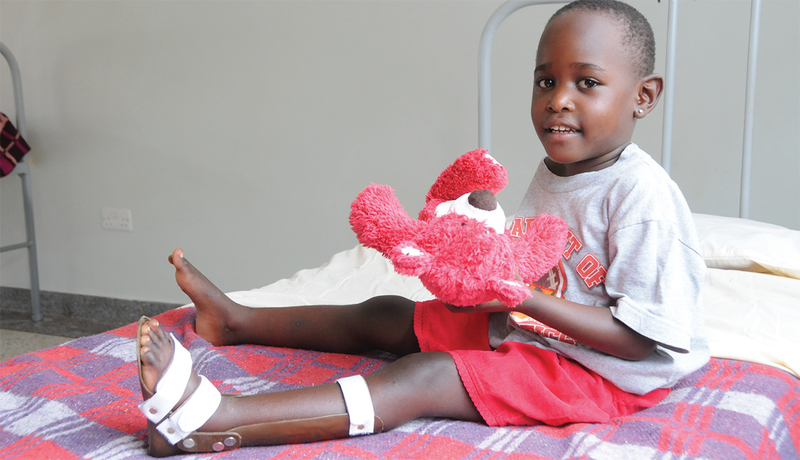 Thanks to you, 2-year-old Peterson from Uganda won’t have to live his life with clubfeet. Good news stories from 2015… thanks to you! Dumsile was one of 971 cataract patients identified in 2015 and one of the first 262 people to receive cataract surgery during our first Sight for Swaziland 2-week surgical session. Bringing sight to an entire country! There is an alarming need in the country of Swaziland. A generation of parents has been decimated by HIV/AIDS, leaving thousands of children in the care of their aging grandparents. Now these grandparents are going blind due to cataracts. 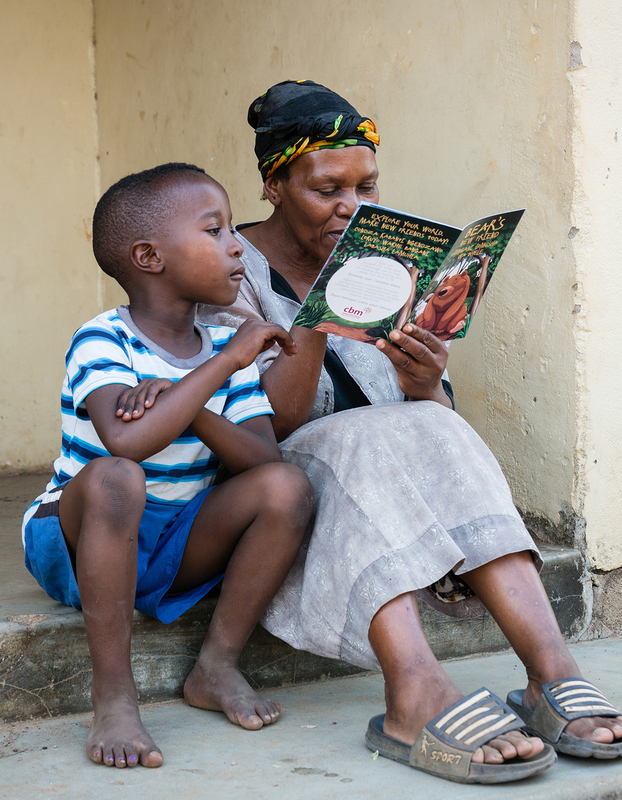 We asked you to help us build a national eye-care program – to restore sight to Swaziland’s grandmas and granddads and to blanket the rural areas with sight-protecting eye health and refraction services. Our goal was $3 million over 3 years. To date, amazing supporters like you have given $3.2 million! Ntombenhle is a 10 year-old-girl with low vision. 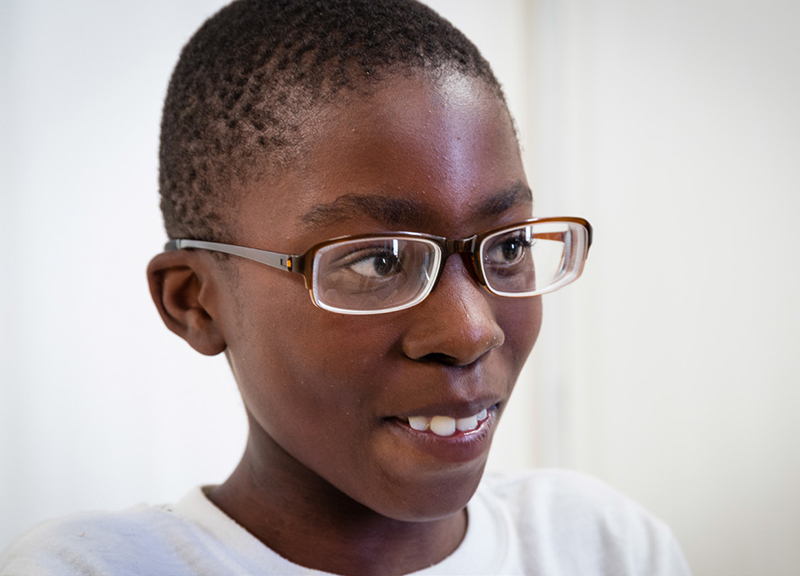 Thanks to you, Ntombenhle was one of 13,124 eyeglass recipients in 2015 through Sight for Swaziland. The top five ways YOU created beautiful possibilities in the lives of children and families this Christmas! 5. You stopped needless pain and blindness for 779 children by providing medication, community health care and sanitation. 4. 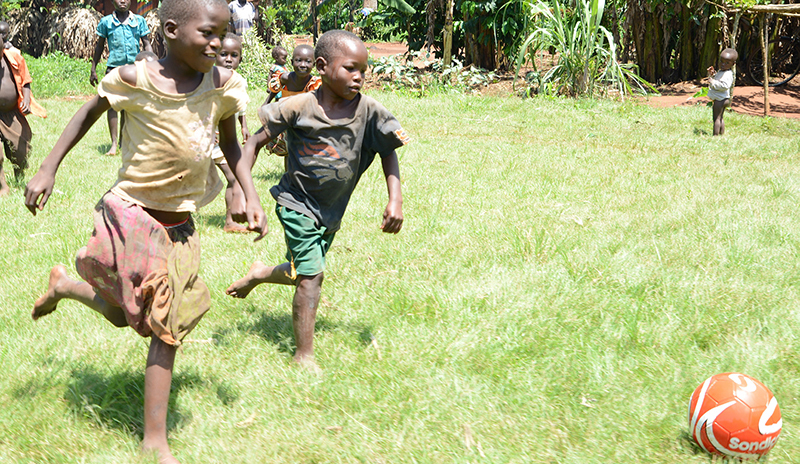 You gave 715 children casts, braces, crutches and shoes so they could walk, run, go to school and play – pain free – with their friends. 3. You gave families income-generating, egg-laying, milk-giving livestock: 1,129 pigs, 3,136 chickens and 664 goats. 2. 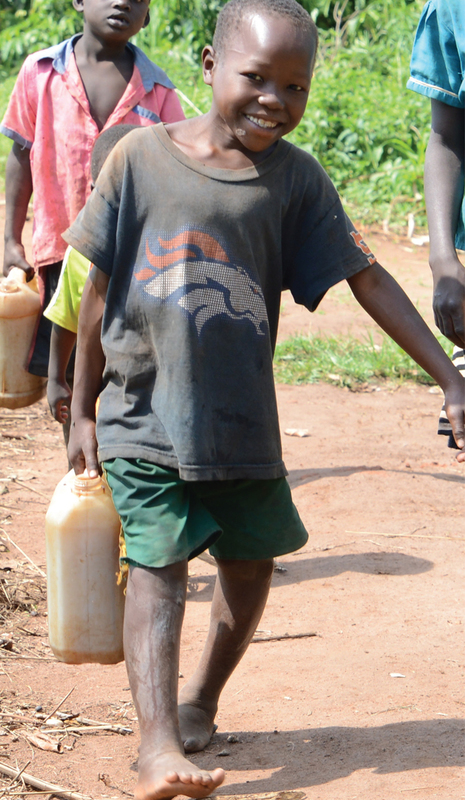 You gave clean, thirst-quenching, infection-fighting water… to 5,368 children, moms, dads and grandparents. 1. You gave the miracle of sight to 2,569 children, moms, dads and grandparents. THIS CHRISTMAS WE ASKED YOU TO GIVE AMAZING GIFTS OF HOPE AND HEALING TO CHILDREN AND FAMILIES IN THE POOREST COUNTRIES OF THE WORLD. THANK YOU FOR WRAPPING UP 22,438 GIFTS OF EXTRAORDINARY JOY. Beautiful possibilities to learn, play, see, thrive EVERY MONTH. Thank you, cbm Partners, for changing the world every month of the year. Blindness doesn’t only affect the child, parent or grandparent who is blind, it affects all those caring for their unseeing loved one. When you freed one person from blindness this past year, you also freed the whole family. Thank YOU! Throughout 2015, caring supporters like you gave sight to 15,255 moms, dads and grandparents through a 10-12 minute cataract surgery. We asked you to help us stop trachoma in its tracks in the Amhara region of Ethiopia, and you stepped up to the plate. You helped to relieve the pain and discomfort, the weeping eyes and the blindness caused by trachoma. You provided Surgery, Antibiotics, clean water for Face-washing and Environmental changes for better hygiene. We built 1,678 pit latrines. We gave 10,848 people access to safe, clean water. Way back in January, 2015, we asked you to help us rescue people from River Blindness and wipe it off the face of the earth by 2025. You gave enough to rescue 1,555 entire communities – a total of 311,000 people – from sight-robbing River Blindness. Throughout 2015, we invited you to come along with Denis on his journey of hope and healing. Through the updates we sent you – letters, emails, videos and Facebook posts—you saw and heard how Denis was freed to live a life with beautiful possibilities. We put a young face on all the children waiting for your generous care. And boy, did you care! 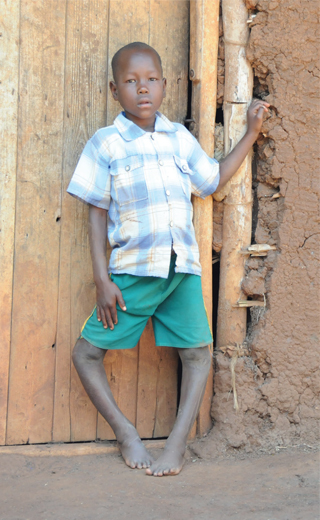 In March, we asked you to help us find more children like Denis…to stop their pain. You gave enough to help us find 2,272 children – thanks to you, these children started their journey of hope and healing. In May, Canadians like you funded surgeries for 298 children like Denis – straightening legs, cleaning out bone infections, fixing cleft lips and restoring sight to blind eyes. In August, you gave 2,114 children the chance to go to school – for many it was their first time! You opened up beautiful possibilities for these kids to thrive and learn and belong. Denis is off and running, ready for his life of opportunity. We hope you enjoyed coming along for the ride. 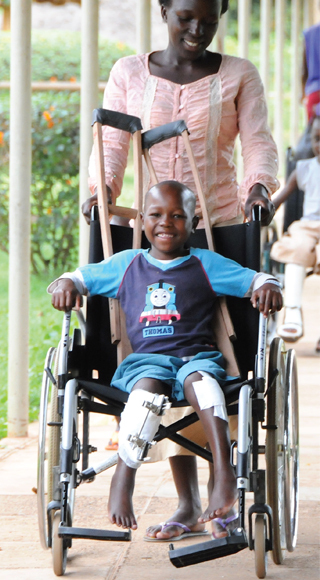 Thank you for your prayers for Denis and for your gifts to help thousands more children like him. 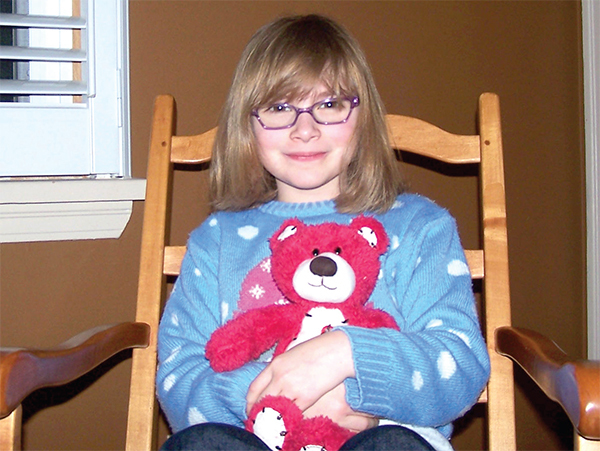 Healing medical care and a hug from Canada. In 2015, our amazing cbm Child Sponsors and healing hug donors (you know who you are) gave 2,565 of the poorest, most forgotten children in the world the healing care they need in one of our partner hospitals. 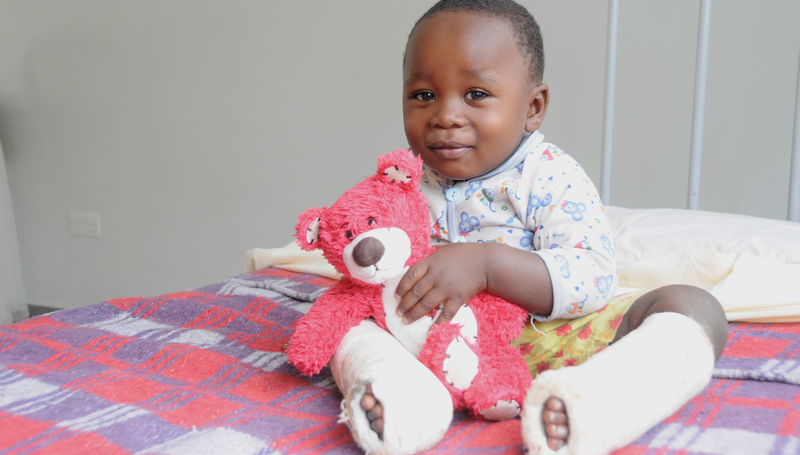 Through monthly gifts, supporters like you have helped children with clubfoot and bone deformities walk and run. 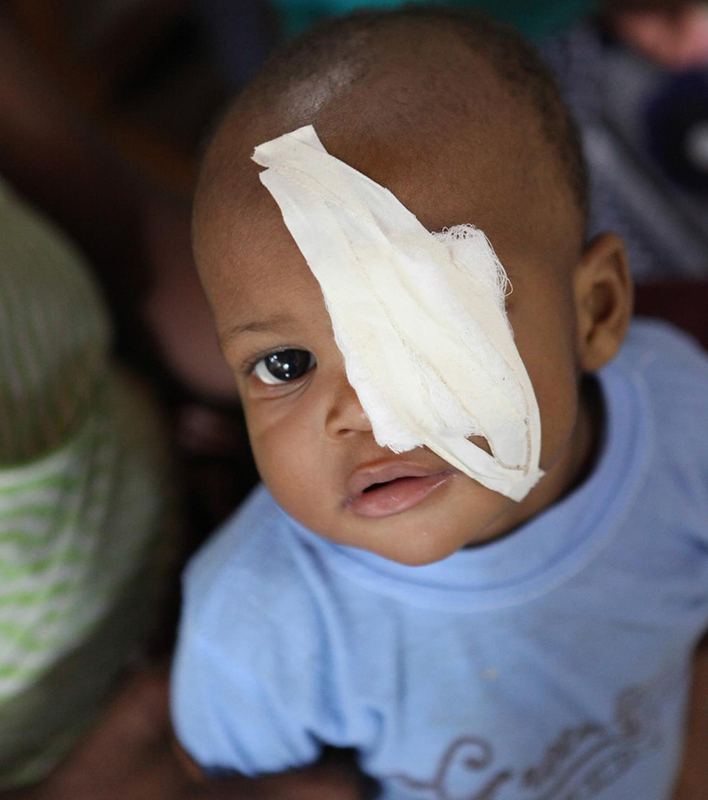 You’ve given children sight, hearing and bone-protecting medical care. You’ve taken away the pain, and the taunting that too often comes with having a disability in a poor community. You set vulnerable children free to live better, longer, fuller lives! When two massive earthquakes hit Nepal in April and May of 2015, you responded with enormous compassion for the most vulnerable – those living in poverty with disabilities – during a catastrophic emergency. And we’re still on the ground, helping to rebuild homes and lives, as people continue to heal and learn to live with new disabilities. 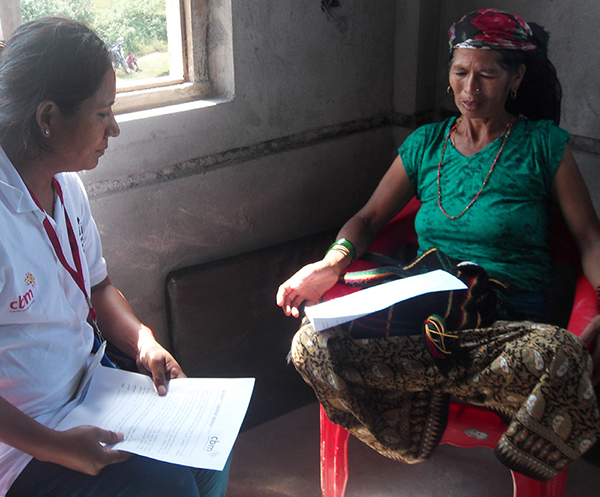 Bhagmati received psychological support from therapist, Ruth Pariyar, to help her cope with the trauma from the earthquake. 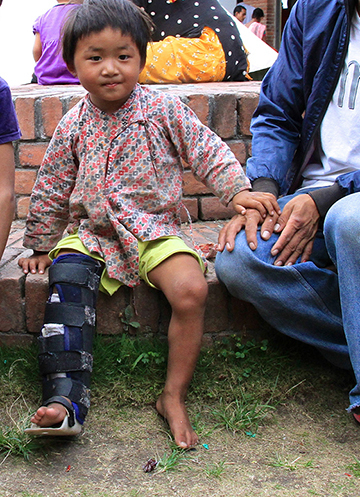 Denish received care for her fractured leg from cbm’s partner hospital. You helped us ship 13 containers by sea and 2 by air… chock full of life-changing, life-enhancing and life-saving medical items. They were sent to waiting trusted partners in Cameroon, Kenya, Madagascar, Malawi, Swaziland, Uganda and Zambia. More than 200,000 items were shipped, including: 189 hospital beds, 423 wheelchairs, nearly 11,000 orthopedic and prosthetic devices, along with thousands and thousands of other optical, dental, surgical and medical supplies/equipment. The value of these shipments? A whopping $7,916,552! Once these donated medical goods are in the hands of our doctors and orthopaedic technicians, physiotherapists and community workers, they make a world of difference for people like Lat. Thank you for sending Lat a wheelchair. You added sunshine to her days. Lat, a 31-year-old woman in Madagascar, can’t walk because of a mysterious genetic condition. Her family couldn’t afford the wheelchair she needed to get around, so she spent her days in bed, dependent on her mother to carry her. Then cbm heard about her. 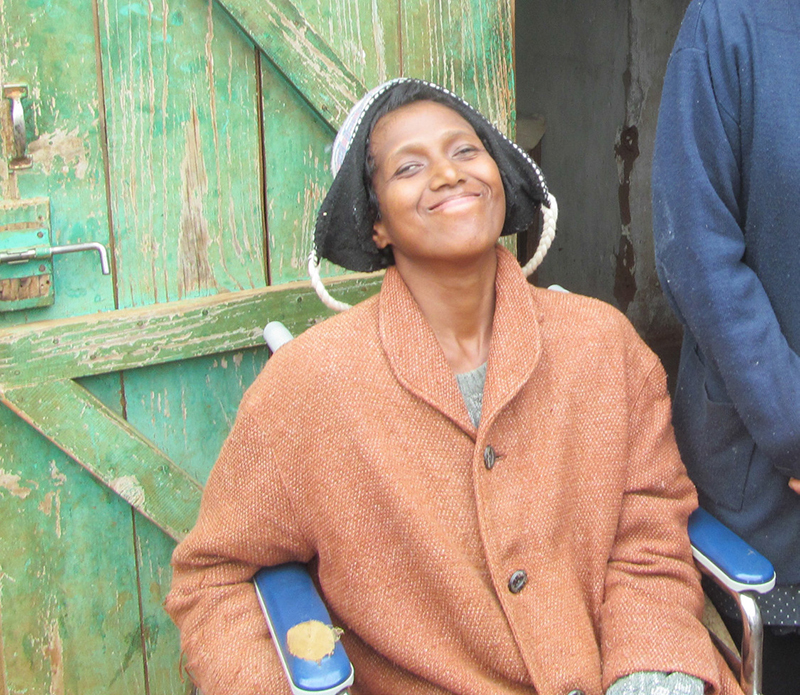 Lat was given a free wheelchair – donated and shipped by Canadian supporters like you! Now Lat is able to go outside on her own and feel the sunshine on her face. 83% Life-changing programs – Feeding the hungry, preventing disability, and restoring sight & ability. 11% Fundraising – Finding new supporters and helping raise the money & prayer support we need to make our work possible. 6% Administration – Making sure donations go where you want them to and are used wisely. MoneySense magazine rates the top 100 Canadian charities annually according to charity efficiency, fundraising costs, governance and transparency, and cash reserves (Issue: December 2015). cbm Canada was ranked A+ right across the board. You can be confident, knowing your dollars are being used wisely, as together we share the love of Jesus with some of the poorest people in the world. It’s all about accountability to you and to the children and families we serve. 40 amazing people left a footprint of love in the lives and hearts of the most vulnerable children and families in the world…those living with poverty and disability. Altogether, these incredible people gave $1.7 million through gifts in their Wills in 2015. Celebrate these life-giving, life-transforming people who shared the love of Jesus during their lifetimes and beyond. To see a full listing of these heroes of faith, please go to cbmCanada.org/HonourRoll. 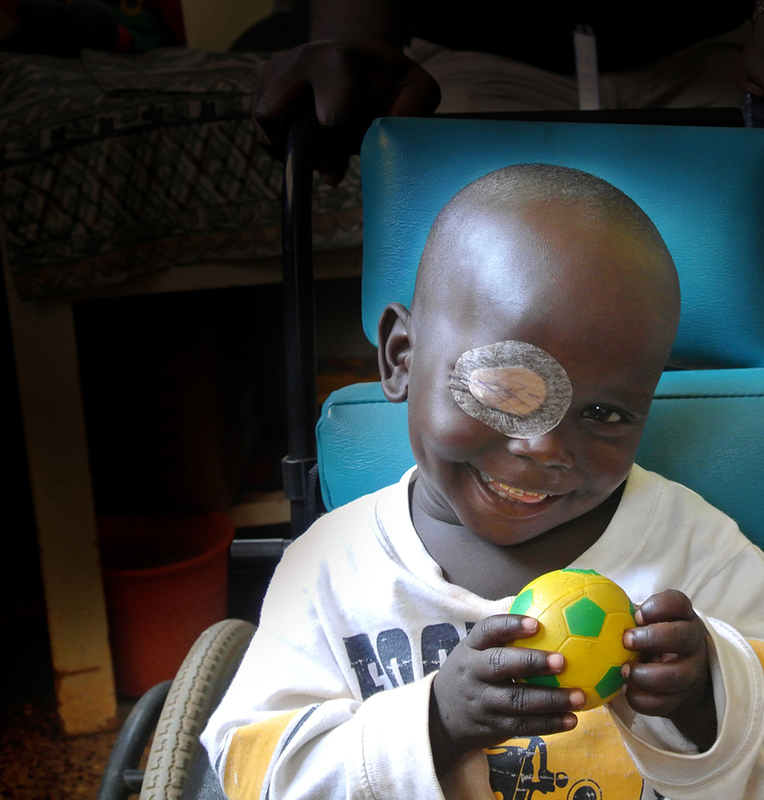 Edwin, a 2-year-old boy from Kenya, received cataract surgery and was treated for malnutrition.